Order in the next 1 hour, 16 minutes an 13 seconds for same day shipping. The 15412 is a numberer stamp that is produced with 12 bands with each band having 0-9 digits, meaning it can create an impression from 000000000000-999999999999. The character size is 4 mm. 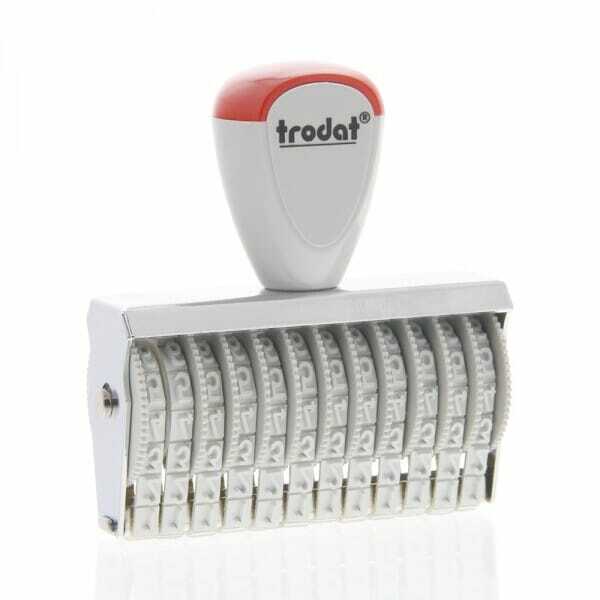 Customer evaluation for "Trodat Classic Line 15412 Numberer - 4 mm, 12 bands"